Well, I finally finished Faith. And, um, yeah, it was sort of a let down for me. [Warning: Spoilers-ish are present] I am glad they got their happy ending and all, but it just didn't really resonate with me. 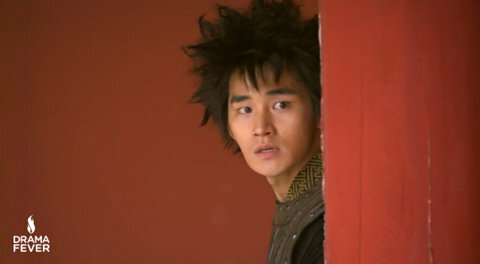 Perhaps it has something to do with how booooooooooring the pacing of the drama was. That's not to say that I didn't like the drama, I just didn't really fall in love with it. I sooooooooo wanted this show to be fabulous and awesome and amazing, but sadly it just didn't get there. It just never got addictively amazing for me. It was like the little engine that could, except it couldn't. It tried so hard to be epic, but wasn't. The soundtrack was epic, the basic premise of the story was epic...it just didn't get epic. The pacing was sloppy and irregular, the storyline was too detailed and convoluted and repeated and repeated and not developed - I mean really, I think I lost count of how many times Eun Soo got kidnapped - talk about recycling a plot device. 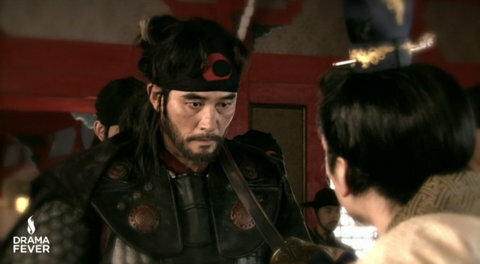 The editing was slap-dash - there was this one scene towards the end that was driving me absolutely crazy - camera pans to face-shot of Choi Young fighting Gi Chul, pans to shocked king's face, pans to shocked Woodalchi's face - over, and over, and over again. Sooooooooooooooo boring!!! Sad day. 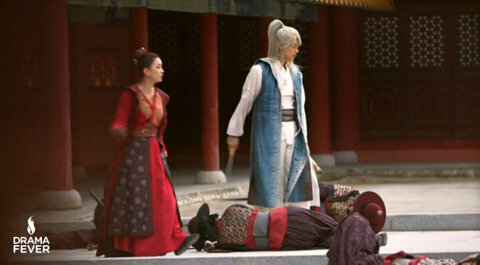 And the fight scenes - booooooooooring *sigh* - okay, I promise to stop whining now. Now before you hate me for totally wailing on Faith, remember, I watched it from beginning to end, and mostly as it aired. I did like it. For instance, I really loved the soundtrack (despite it often not completely matching the emotion and pathos of the scene). 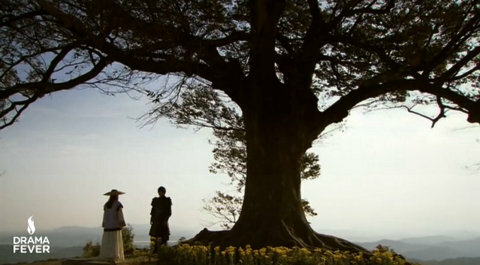 I particularly loved some of the score - really beautiful music. 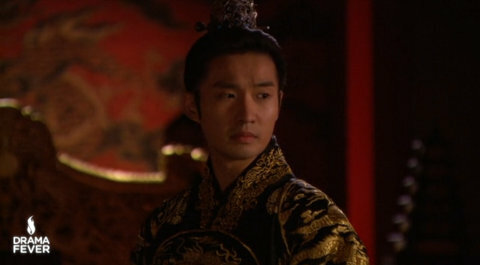 I also really loved Ryu Duk Hwan's performance as Gong Min. He was just absolutely fabulous and lovely and amazing. 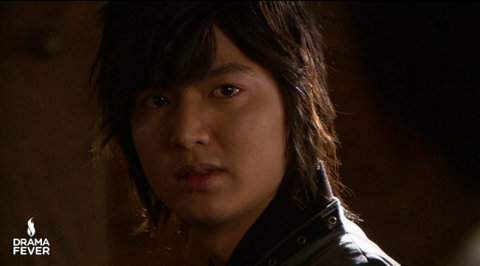 I think I cared about him the most of all the characters. 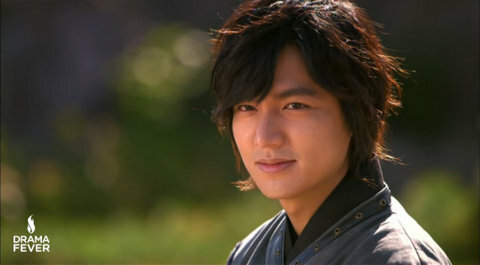 His character arc was just so well done, and moving, and the scenes with him and Princess No Guk (Park Se Young) were really sweet. After reading up about what really happened in history, it just made each of their scenes all that much more meaningful and poignant. 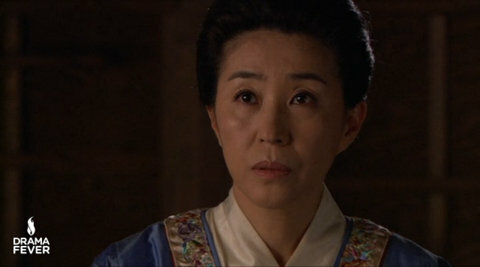 I also really loved Choi Young's aunt - played by Kim Mi Kyung - she was sassy and forthright and just all around awesome. 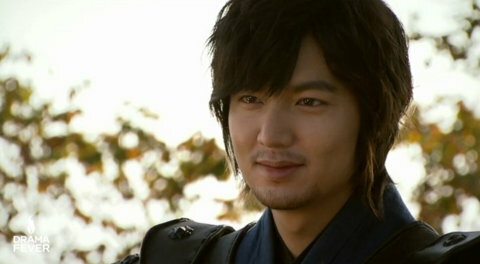 And Dae Man-ah and all the cute little Woodalchi. Okay, really the super awesome, brave, and hotte Woodalchi who were so idealistic and who died to defend the King and Queen. 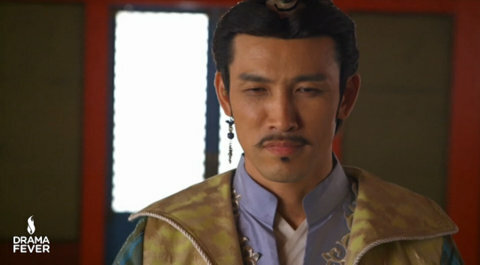 I even loved Gi Chul (Yoo Oh Sung) at times, probably just because his evilness was oddly adorable - sometimes. I even liked the flute dude and the fire ball girl - though if I'm really honest flute dude was just pretty to look at - he did show some actual emotion towards the end which was nice to see. The costumes were also gorgeous. And our OTP. I definitely enjoyed them. 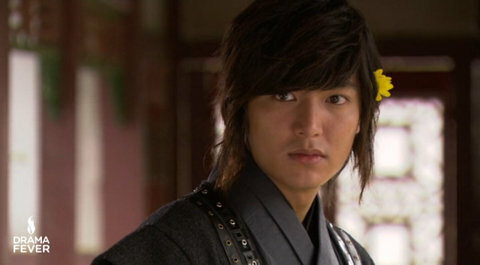 Lee Min Ho was fabulous in this role (could we just had more smooching, really) and I enjoyed his portrayal of this conflicted warrior who really doesn't want to kill anyone anymore, but who continues to serve honourably. I also love how he gives his heart to each king that he serves. And he's smart. And he gets stuff done. And he is funny in that wry, stone-faced way of his. I feel though that the writing left his role lacking. His story arc was there, but I always wanted more. There was just so much going on, and I feel like we had so much unnecessary detail in the plot that it stopped the story from having the depth that was potentially there. 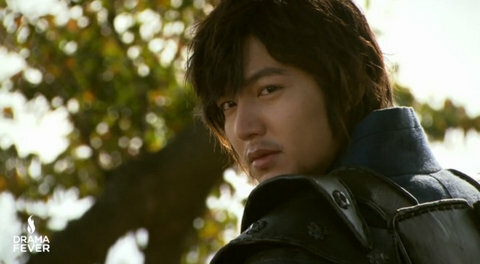 I wanted to know more about Choi Young, and more about his struggle with his conflict of being a warrior, but wanting to let it go and not being able to. 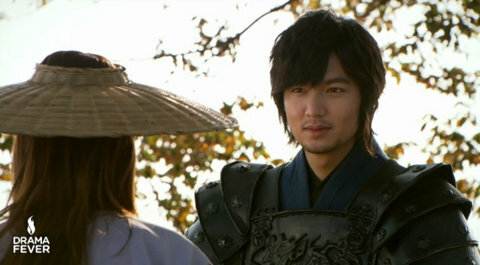 And I also wanted more of that chemistry and conflict to play out with Eun Soo. It was all there on paper, but the busy-ness of the convoluted storyline, and the constant kidnap-rescue scenario never really let it play out. 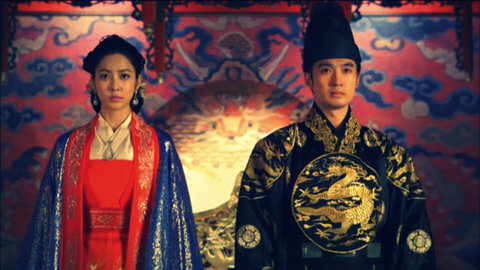 The sad thing is that they did have some great chemistry, and some lovely verbal-sparring, and I liked Kim Hee Sun's spunky and sassy portrayal of Eun Soo. It's not like you have to have a tonne of tea to let it steep in a cup of hot water and still get a nice, deep tasting beverage. Yes, that was a convoluted metaphor that probably doesn't make sense. Perhaps I am just trying to say that the quantity of storylines stopped the quality from happening. And that is why the ending failed for me. Without the emotional depth that could have been there, I just didn't feel it. It was too rushed and had too many loose ends left to our imagination. The basic premise was great, but it lacked the necessary emotional build-up and release that one wants to feel really satisfied with a drama and be on the sidelines cheering along our hero and heroine. 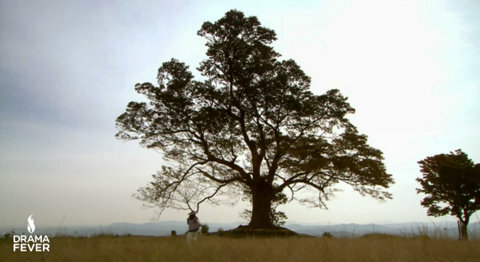 Side note: the tree they meet by at the end, hasn't that tree setting been used in like a gazillion K-dramas? Oh Faith, what might have been. But let's end on a positive note, right?! 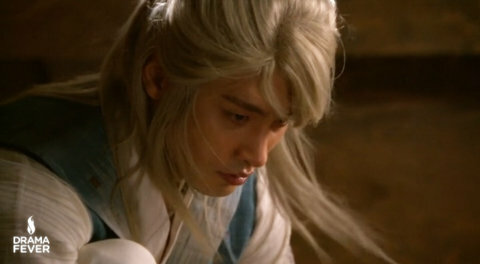 My favourite parts of the drama (other than the transformation of Gong Min into a king) were the quiet moments where Choi Young let down his guard with Eun Soo and they just had a lovely moment to connect, so like Choi Young, "I'm trying to remember this moment. Now that I don't have to forget about you."